The preparatory German course addresses to those, who intend to apply to the University of Cologne and already have a good German language level but don´t have the required language skills for studying a degree course yet (DSH 2 or TestDaF with TDN 4 in all four competencies). The preparatory German course will be completed with the „Deutsche Sprachprüfung für den Hochschulzugang“ (DSH). 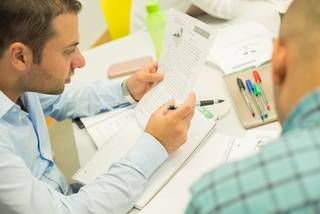 If successfully passed, you will have obtained the language proficiency required for studying at University of Cologne (DSH2).